The TAILORx study has demonstrated that most women with a specific early-stage breast cancer and midrange score on the Oncotype DX® test do not need chemotherapy after surgery. These findings will spare thousands of women from the harmful effects of chemotherapy. In this interview we speak with Andrew Paramore from Genomic Health (CA, USA) to discover insider details of the trial and what’s next for TAILORx. If you would like to read the news surrounding TAILORx, click here. Interested in discovering other key ASCO talks? Discover our highlights here. I am Andrew Paramore, I’m the Director of Medical Affairs Genomic Health for UK and Ireland. Can you give us a brief overview of the TAILORx trial and the clinical significance you’ve seen for breast cancer patients? I will start with the overview of the TAILORx study; it’s a large study, one of the largest adjuvant treatment studies in breast cancer. Studies like this only come along every decade or so. It has been designed to answer a question that’s been on many clinicians’ minds for many years. I think in the past based on clinical data, it was discovered that a lot of patients actually can benefit from chemotherapy, but we couldn’t identify actually who. The TAILORx study was designed to try and refine and identify those patients that would benefit the most from chemotherapy and to capitalize on the emergence of the Oncotype DX signature, which is able to identify people with good and poor prognosis, but also identify those who are most likely to benefit from chemotherapy. The study was designed based on a lot of the validation data for the Oncotype DX test, which showed that patients with a lowRecurrence Score® result did really well without chemotherapy and patients with highRecurrence Score results actually did really well with chemotherapy and that’s where all the benefit for the chemotherapy was, was for those patients with a highRecurrence Score result. Then there was an intermediate range, and in that range, we weren’t so certain of where that benefit of chemotherapy was, because this is like a biological system, so it is not a yes or no, it’s a gradation of response. This study was specifically designed to address that question. The largest portion of the study was the randomization group, which was the intermediate range of the Recurrence Score result, so 11–25 to really answer that question who benefits from chemotherapy. The study is designed as a non-inferiority study and the standard treatment arm was assumed to be chemoendocrine therapy and the trial arm was hormone therapy alone. Obviously the patients that were eligible for the study, are patients who are eligible for testing with Oncotype DX and it’s those patients where there’s some uncertainty based on their clinical risk profile of the actual benefit from chemotherapy. 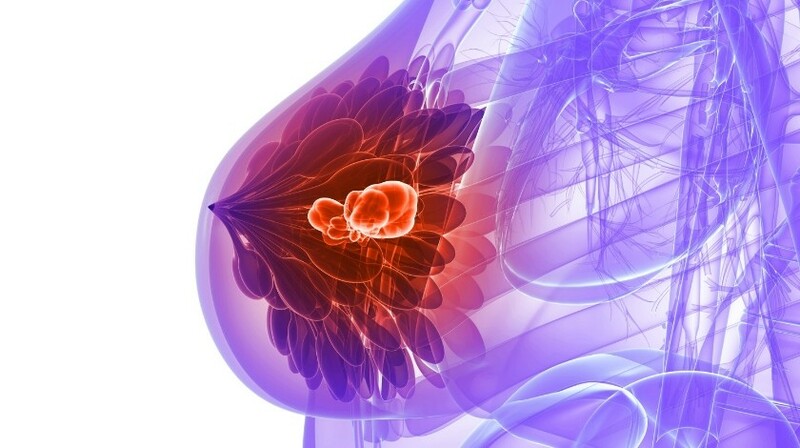 So the patients included patient’s age from 18–75, HER2 negative, ER positive with early-breast cancer. Well I think the study has completely dominated ASCO this year. It’s been one of the top stories. Yes, it was in the practice-changing plenary, which is the right place for it essentially, because it’s such a large study. But it also addresses the question that the clinicians have been struggling with for many years. The fact that the primary end-point was met and the hormone therapy is non-inferior to chemoendocrine therapy shows that the large majority of patients that are tested with the Oncotype DX Breast Recurrence Score® derive no benefit from chemotherapy. In the U.K. specifically, with the ongoing NICE process, the Oncotype DX assay is available, it’s recommended by NICE for this very population. So with these data now, what happens from Monday, is integration of the results into clinical practice . This is because the clinicians, when they get the result back, can then interpret the result and say to the patient with a lot more confidence if you’ve got a Recurrence Score result less than 25 you don’t need chemotherapy. Look at all these data, from over 6000 patients, we can really be sure that there’s no benefit for you. So the patients can then feel comfortable in their own decision, because a lot of them dread and fear chemotherapy, but also the reverse is true. If you identify a patient that actually derives a lot of benefit from the chemotherapy, then it makes them feel more comfortable that they’ve made the right decision to go for the chemotherapy treatment and it is necessary despite the side effects and it’s going to benefit them. So it gives them that reassurance and confidence to stick with sometimes the quite poorly tolerated chemotherapy regimens. It’s about personalizing the choice. So that, like you said, the patient is confident that what they are doing is going to be of benefit. Yes. And it works both ways, so they can have endocrine therapy alone if they’ve got a Recurrence Score result less than 25 and that means to them that they can go back to work very quickly and get on with their lives really quickly, whereas those patients that have the higher Recurrence Score results of 26 and more, they know that with 6 months of chemotherapy they are going to have a better outcome. So can you tell us a bit about how the Oncotype DX Breast Recurrence Score assay actually works? Yes, so it’s a genomic assay and it is used on the excision samples. So routinely when a patient is diagnosed with breast cancer, they have the surgery to remove the tumor and we test or sample of that tumor in a central lab and test for the expression of 21 genes. These genes are a mixed group of genes focused on whether you’ve got strong hormone response or you’ve got high risk of proliferation, so a tumor that is growing quite rapidly. It’s the balance between all these gene groups that generates a Recurrence Score result between 0–100. Obviously the higher the result the poorer the prognosis and the greater the benefit from chemotherapy. Apart from the TAILORx study how is this assay being used? TAILORx is a pivotal study that really is a large prospective randomized trial. There’s lots of other studies that have been done of equal quality that show the test was able to predict benefit from chemotherapy and also breast cancer patients outcome, so their prognosis. We’ve also got real world evidence data, showing how clinicians use the test and what the outcomes are. The amount of clinical trial evidence we have from that, it’s approximately 60,000 patients with their 5-year outcomes so far. All the data together shows that the Oncotype DX test is able to successfully stratify patients into different risk groups and identify those who will benefit from chemotherapy. Now with the TAILORx results, we’ve got 9-year outcomes data, so it’s really excellent data to show that the test does what we expect it to do. In terms of TAILORx, what are the next steps for the trial? It’s a large study, there’s going to be lots of analysis of different sub-groups and secondary endpoints, which have all been planned. TAILORx is an independent study sponsored by the National Cancer Institute (NCI), and led by the ECOG-ACRIN Cancer Research Group and there are lots of other questions they wanted to address regarding the adjuvant management of breast cancer. There are also very important components on patient outcomes in terms of quality of life; how treatment impacts their quality of life and their ability to work as well as impact on cognitive function. Because there has been speculation on the impact that chemotherapy has on the brain as many patients have reported cognitive side effect, although it’s been very difficult to collate the evidence. There’s actually an assessment of approximately 1000 patients in TAILORx investigating this in more detail. This is really going to help the practice of managing breast cancer patients and understanding some of the side effects that patients go through. Genomic Health has made such a big impact at ASCO this year– can you give us any hints or previews of what we should look out for next? In a few more years’ time, we expect results from a a similar study to report.. The study is called RxPONDER. It’s exactly the same design as TAILORx but it includes a high-risk population, patients with node-positive early-stage breast cancer. . So it will be interesting to see how the test works there. We’ve got a lot of data already in node-positive patients, over 9000 patients in randomized clinical-controlled studies, which show that the test is able to identify patients with node-positive disease that have a better prognosis, versus those who have a poor prognosis and those that benefit more from chemotherapy. I think that study again will be practice-changing when it gets presented, because at the moment factors like nodal status, grade age and size are used to identify patients who benefit from chemotherapy, but we know that on their own, they are not very good predictors for chemotherapy. When you have a Recurrence Score result, you get a better indicator of who is going to respond to chemotherapy, so that will be exciting. Of course. Have you gotten anything else that you would like to add to this? For me the key thing is to localize this to the U.K. I think it’s important that NICE incorporate such pivotal data in their ongoing assessment of genomic tests. At the moment, some of the assumptions they have made are based on quite old historic data, which aren’t actually correct or valid anymore now in light of the TAILORx results.. Inclusion of the TAILORx data will enable them to build a more robust economic model, which is a better representation of management of contemporary patients with breast cancer.